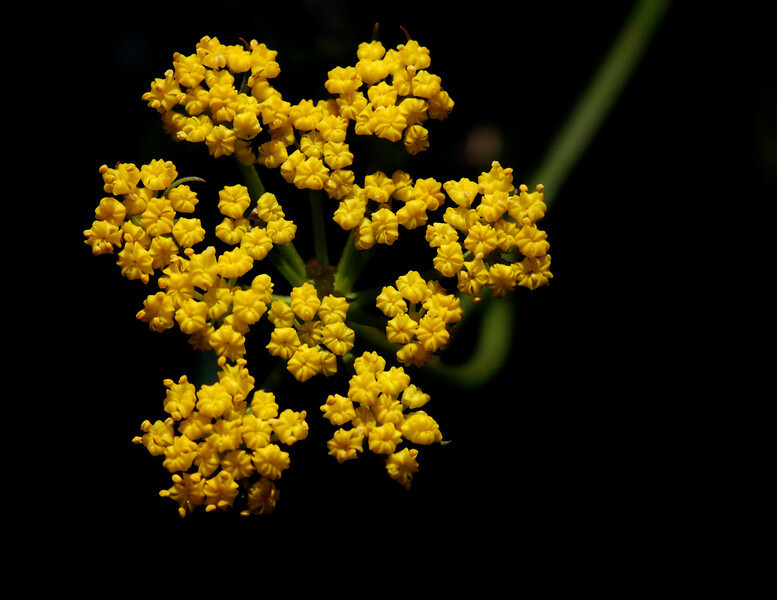 What I am guessing is some kind of Lomatium (parsley family) showing off one of its brilliant umbels of yellow. These flowers are tiny, tiny. I used a 2x extender with my 105 macro lens for the first time and liked the extra working distance. On the other hand, I think I will probably use the 1.4x in the future as it might deliver a bit more clarity with that combo.